Physical therapists play an important role in treating injuries and medical conditions. 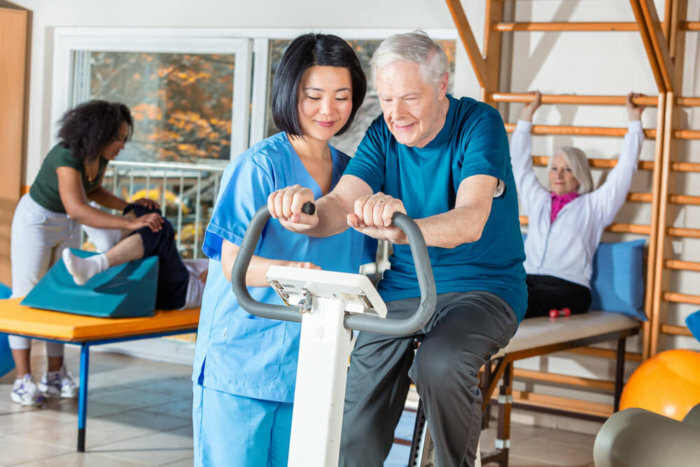 Most physical therapy treatments focus on building your strength and flexibility to help you reduce pain and restore your independence. Finding the right physical therapist is important because physical therapy can be the difference between recovering and recovering well. At Excel Sports & Physical Therapy, we want you to feel equipped to make a decision. To help, we’ve put together this list of what you need to look for when searching for a physical therapist. Inspect their credentials — This is the most important item on the list because all physical therapists should have completed rigorous training before receiving their license to practice. Physical therapists must have at least a bachelor’s degree and then must complete a physical therapy training program. Examine their patient skills — If you visit a clinic and find the staff to be cold and unfriendly, find someone else. It’s your right to find a health care professional who you feel will best take care of you. Check out their facility — Ask about the clinic’s equipment and facility. Everything should be up-to-date, clean and working correctly. Some clinics have specialized equipment for certain services like aquatic therapy. If these services are important to you, see if the clinic is equipped to offer them. Read the reviews — One of the benefits of the internet is it allows people to express their honest opinions in an unfiltered setting. Check the reviews of other clients to see their thoughts on a particular clinic. If the reviews are mostly negative, that’s a sign you should look for another clinic. Ask about insurance — Talk to the staff or your insurance provider to find out if your insurance covers physical therapy at the clinic you’re checking out. Schedule an appointment with Excel Sports & Physical Therapy in St. Louis, MO. You’ll find that Excel Sports & Physical Therapy in St. Louis, Missouri passes the items in the list above. Contact us today if you’re ready to schedule an appointment. Our team is ready to give you the care you need to feel well again.